Château Haut-Batailley was separated in 1942 by the inheritance of Château Batailley and thus became the property of the Borie family (see also Chateau Ducru-Beaucaillou and Chateau Grand-Puy-Lacoste). Through the purchase of land, for example from Chateau Duhart-Milon, the vineyard was expanded to 22 hectares in the southern part of Pauillac. The grape varieties are 70% Cabernet Sauvignon, 25% Merlot and 5% Cabernet Franc. 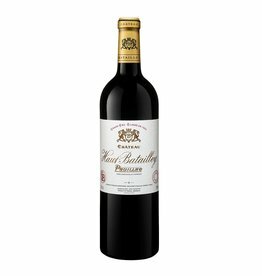 Today, Haut-Batailley is not only one of the inexpensive Grand Cru Classé, but also a quality bench with its long-lasting and classic Pauillac . In the spring of 2017, the estate was purchased by the Cazes family, which is also owned by Château Lynch-Bages.